“Plans to turn the former Rockhaven Sanitarium in north Glendale into a park and boutique-commercial center have been scrapped, with city officials recently severing ties with the local developer heading up the project. Following closed-session deliberations on Feb. 5, City Council members decided not to extend a contract with Gangi Development that was first initiated at the end of January 2017, city spokesman Dan Bell confirmed on Tuesday. The council’s decision disheartened Matthew Gangi, the project’s principal lead, who said he still hasn’t given up on the vision the council approved in November 2016. According to Matthew Gangi, the city had asked him and his family associates to personally guarantee yet-unspecified improvement requests to the site, which some family members would not do because they felt they were already offering substantial money and effort to improve the city-owned property, Gangi said. Under the original proposal, businesses and nonprofits would have moved into the former sanitarium’s 14 buildings that Gangi Development had planned to rehabilitate. Prospective tenants included a farm-to-table restaurant, a sustainable winery, a hatha yoga studio, creative lounge and native-plant-seed shop, Matthew Gangi said. Remaining space on the property that’s been designated a historic district would have become a park, with a planned performance stage and several demonstration gardens, he added. The roster of businesses was selected, in part, as an homage to the property’s original incarnation when it opened in 1923 as a progressive women’s mental-health facility, according to Matthew Gangi. The Gangi project was supported by Friends of Rockhaven, a nonprofit dedicated to preserving the property. 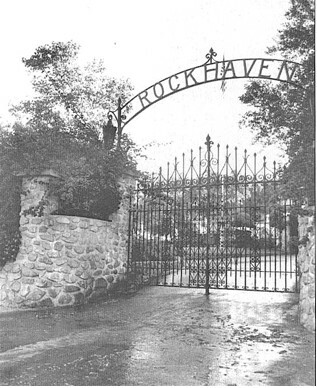 Rockhaven Sanitarium was once home to Marilyn’s mother, Gladys Monroe, and a female-led sanctuary for mentally ill women at a time when they were often mistreated. You can read my review of Elisa Jordan’s new book about Rockhaven here. 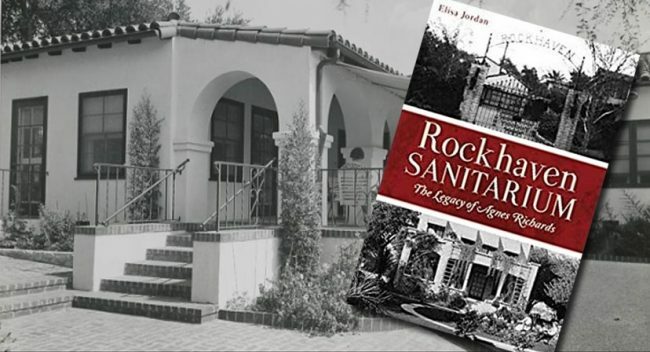 Elisa Jordan, author of an upcoming book about Rockhaven Sanitarium (where Marilyn’s mother Gladys was a patient from 1953-67) will be appearing at Flintridge Bookstore on November 14 from 7:00 – 8:30 pm. Hot off the press, Marilyn’s Monsters is a graphic novel by Tommy Redolfi which retells her story as a dark fairytale. Now available with a preface by cult filmmaker David Cronenberg, it was previously published in France as Marilyn in Holy Wood. You can find out more and view sample pages here. 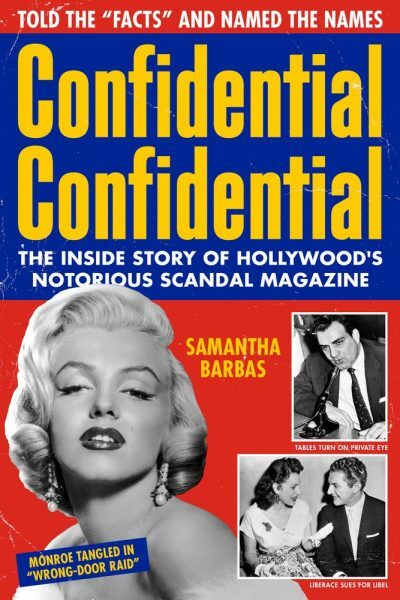 Also just published, Samantha Barbas’ Confidential Confidential looks at the forces behind the notorious scandal magazine which exposed the secrets of Marilyn and other 1950s stars. 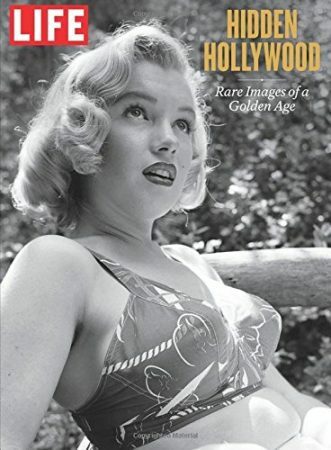 A new photo book set for release next month, Marilyn: Lost Images From the Hollywood Photo Archive includes images from the collection of publicist Colin Slater, with text by Boze Hadleigh, who recently authored Marilyn Forever, a book of quotes about the star from celebrities past and present. More info on the archive here. The campaign to save Rockhaven, the former sanatorium run by women for women, is continuing with the Friends of Rockhaven community group campaigning to have the building opened to the public. It is a site of architectural and historical note, and was an oasis of progressive healing for the mentally ill during a time of widespread ignorance and prejudice. Marilyn’s mother Gladys lived there for fourteen years, and it seems to have finally brought her some peace of mind after many unhappy years spent in and out of state asylums. Please sign the petition to save this Glendale landmark here. In January, exhibitions featuring Milton Greene and Douglas Kirkland’s photographs of Marilyn opened in London and Amsterdam. In New York, the Museum of Modern Art paid tribute to Marilyn’s choreographer, Jack Cole. 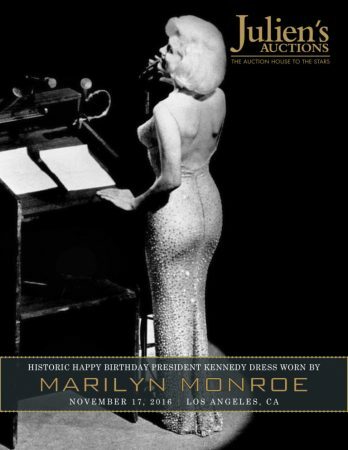 Also this month, James Turiello’s book, Marilyn: The Quest for an Oscar, was published. And Edward Parone, assistant producer of The Misfits, died. 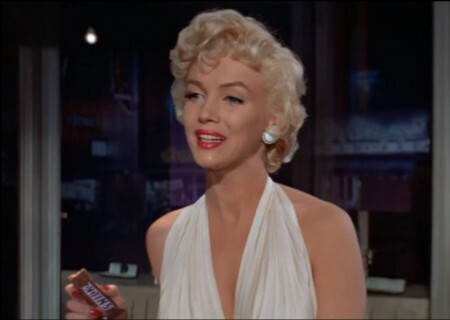 In February, Marilyn ‘starred’ with Willem Dafoe in a Snickers commercial for the US Superbowl. Monroe Sixer Jimmy Collins’ candid photographs were sold at Heritage Auctions, and the touring exhibition, Marilyn: Celebrating an American Icon, came to Albury, Australia. 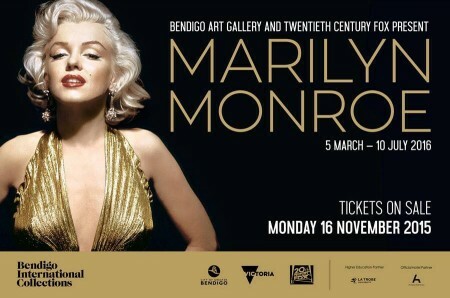 Another major Australian exhibition, Twentieth Century Fox Presents Marilyn Monroe, featuring the collections of Debbie Reynolds, Scott Fortner, Greg Schreiner and Maite Minguez Ricart – opened at the Bendigo Art Gallery in March. 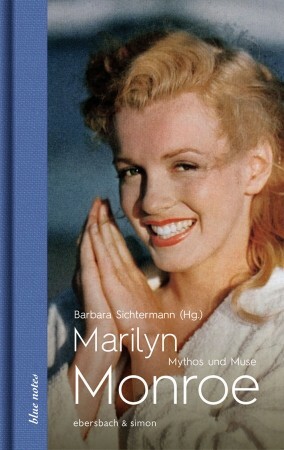 And Barbara Sichtermann’s book, Marilyn Monroe: Myth and Muse, was published in Germany. 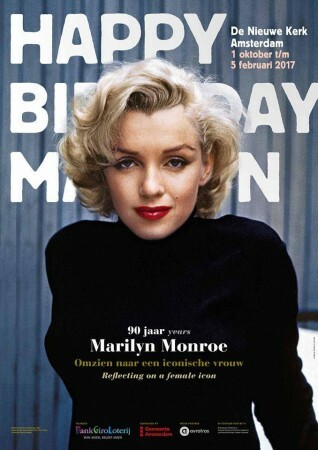 In April, a special edition of Vanity Fair magazine – dedicated to MM – was published. 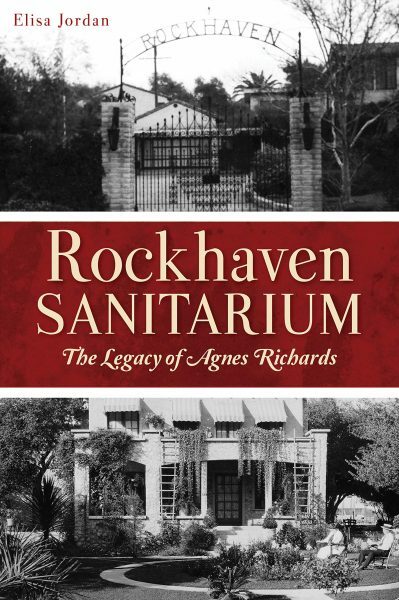 A campaign to save Rockhaven, the former women’s sanitarium where Marilyn’s mother Gladys once lived – was launched. And actress Anne Jackson – wife of Eli Wallach, and friend to Marilyn – passed away. In May, Marilyn graced the cover of a Life magazine special about ‘hidden Hollywood’, and Sebastien Cauchon’s novel, Marilyn 1962, was published in France. 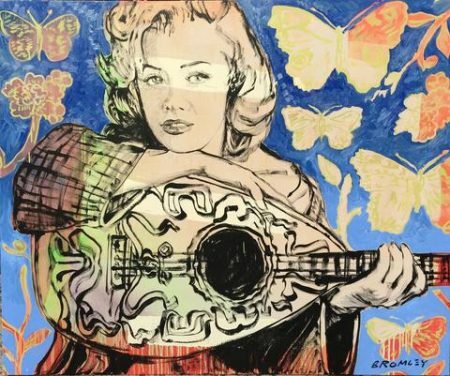 Cabaret singer Marissa Mulder’s one-woman show, Marilyn in Fragments, opened in New York, while Chinese artist Chen Ke unveiled Dream-Dew, a series of paintings inspired by Marilyn’s life story. The remarkable collection of David Gainsborough Roberts was displayed in London. Finally, Alan Young – the comedian and Mister Ed star, who befriended a young Marilyn – died. June 1st marked what would be Marilyn’s 90th birthday. 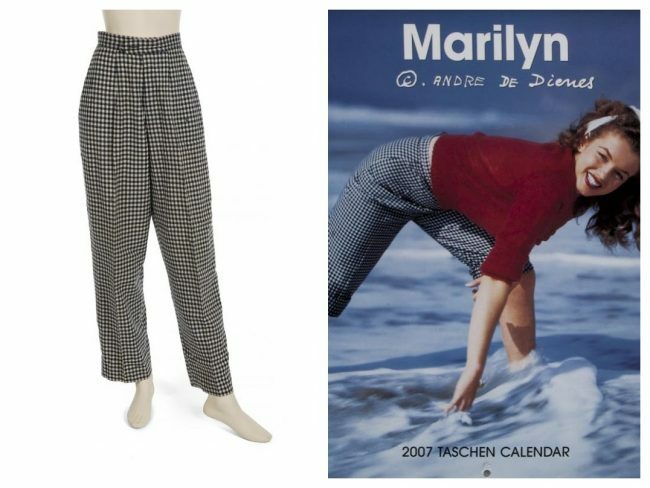 Also in June, New Yorkers were treated to an Andre de Dienes retrospective, Marilyn and the California Girls. 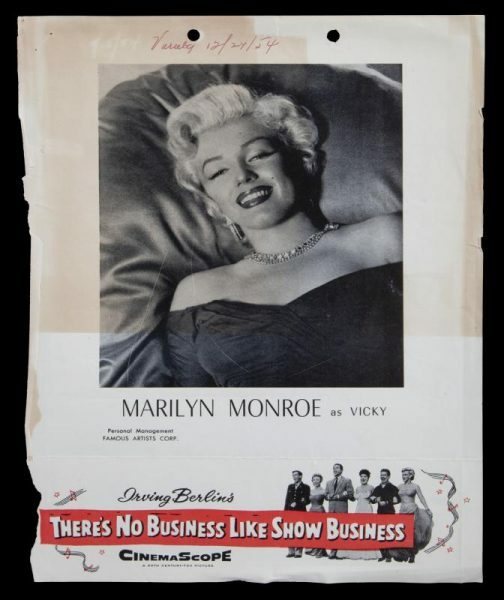 An exhibition of the Ted Stampfer collection, Marilyn Monroe: The Woman Behind the Myth, opened in Turin, Italy. 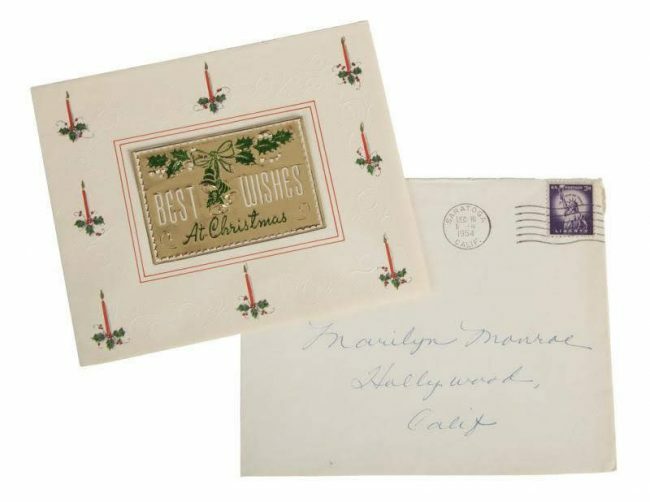 A new documentary, Artists in Love: Arthur Miller and Marilyn Monroe, was broadcast in the UK, while Australia honoured Marilyn with a commemorative stamp folder, and genealogists investigated Marilyn’s Scottish ancestry. 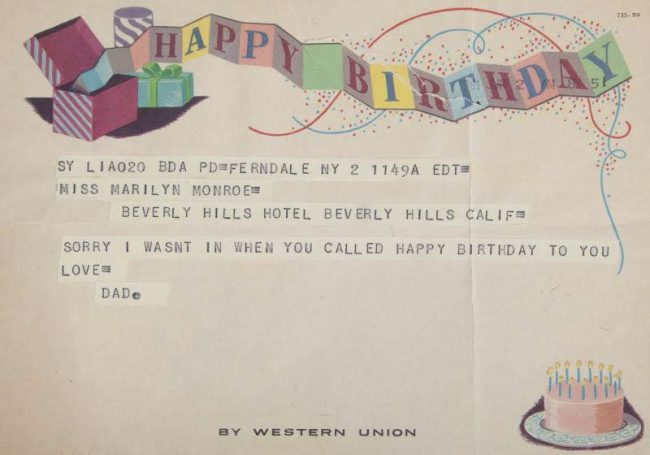 In July, the birthday celebrations continued in Marilyn’s Los Angeles hometown with tributes from painter David Bromley, and another Greene exhibition. A new musical, Marilyn!, opened in Glendale. Rapper Frank Ocean appeared alongside a Monroe impersonator in a Calvin Klein commercial. And Marni Nixon, the Hollywood soprano who sang the opening bars of ‘Diamonds Are a Girl’s Best Friend’, passed away. August 5th marked the 54th anniversary of Marilyn’s death. Also this month, it was announced that Seward Johnson’s ‘Forever Marilyn’ sculpture may return permanently to Palm Springs. 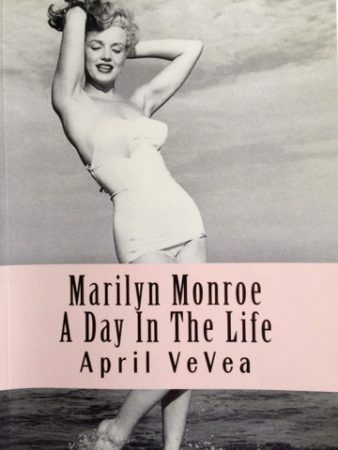 April VeVea’s Marilyn Monroe: A Day in the Life was published, and Marilyn’s role in Niagara was featured in another Life magazine special, celebrating 75 years of film noir. 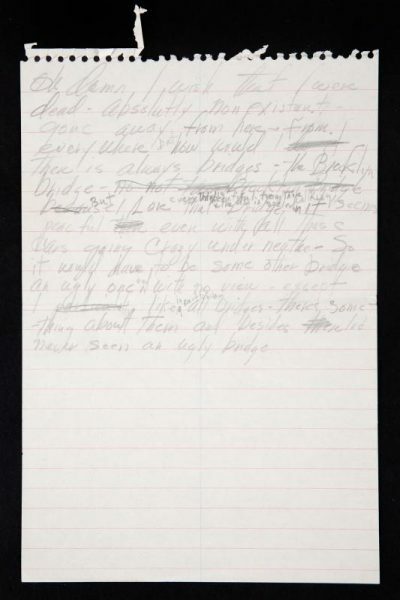 In September, Marilyn: Character Not Image – an exhibition curated by Whoopi Goldberg – opened in New Jersey. Terry Johnson’s fantasy play, Insignificance, was revived in Wales. 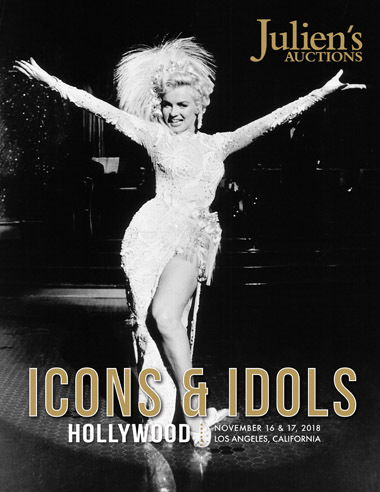 Two locks of Marilyn’s hair were sold by Julien’s Auctions for $70,000. 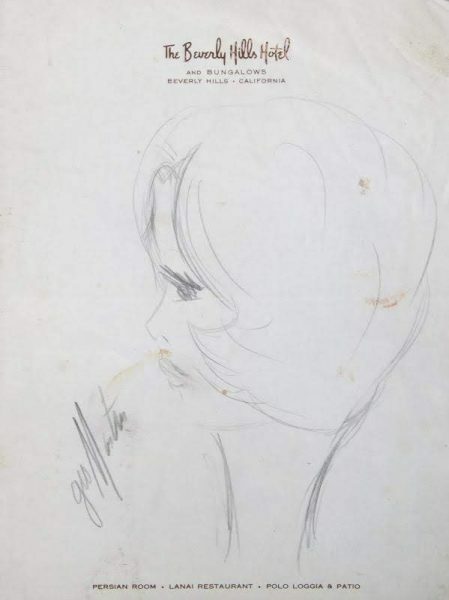 And author Michelle Morgan published The Marilyn Journal, first in a series of books chronicling the Marilyn Lives Society; and A Girl Called Pearl, a novel for children with a Monroe connection. 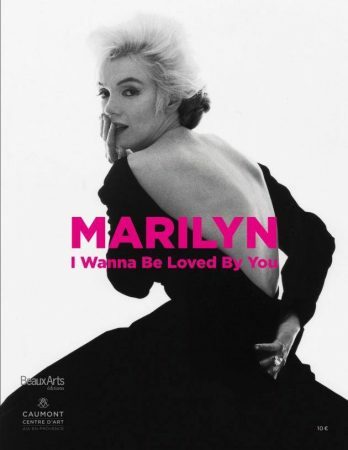 In October, Happy Birthday Marilyn – a touring showcase for the collection of Ted Stampfer – came to Amsterdam, while Marilyn: I Wanna Be Loved By You, a retrospective for some of her best photographers, opened in France. 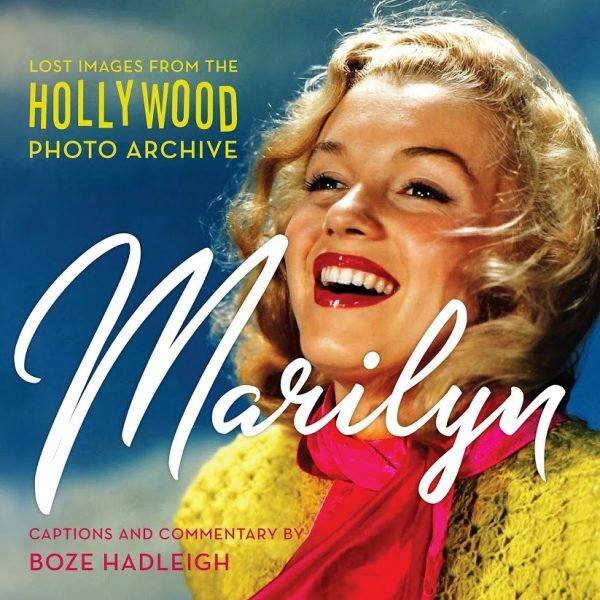 Marilyn Forever, Boze Hadleigh’s book of quotes, was published. 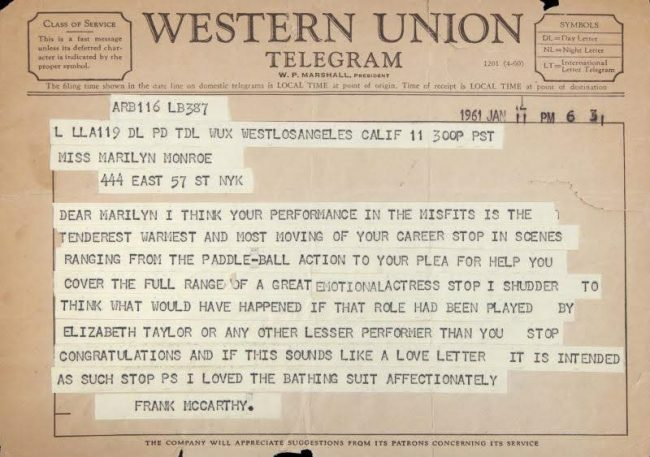 Marilyn’s friendship with Ella Fitzgerald was depicted on the cult TV show, Drunk History. And on a sadder note, photographer George Barris, biographer John Gilmore, and William Morris agent Norman Brokaw all passed away this month. 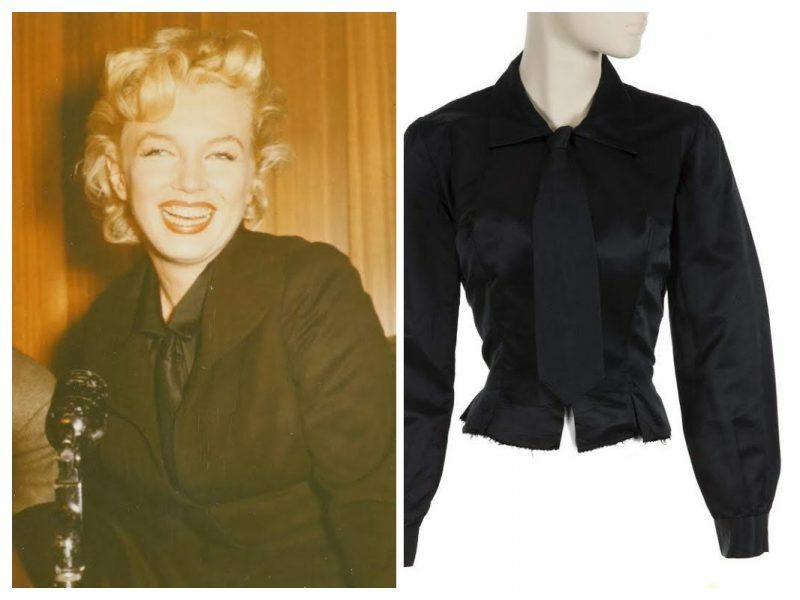 In November, Marilyn’s ‘Happy Birthday Mr President‘ dress was sold for a record-breaking $4.8 million during a three-day sale at Julien’s Auctions, featuring items from the David Gainsborough Roberts collection, the Lee Strasberg estate, and many others including the candid photos of Monroe Sixer Frieda Hull. Also this month, comedienne Rachel Bloom spoofed ‘Diamonds Are a Girl’s Best Friend’ in a musical sequence for her TV sitcom, Crazy Ex-Girlfriend. 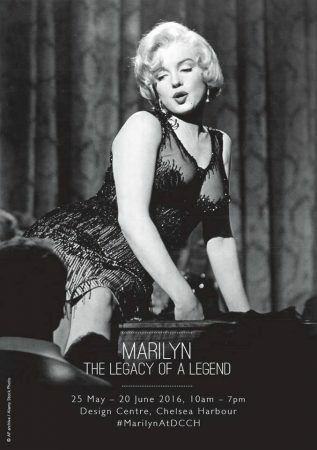 And Marilyn Monroe: Lost Photo Collection, a limited edition book featuring images by Milton Greene, Gene Lester and Allan ‘Whitey’ Snyder, was published. Finally, in December the EYE Film Institute began a Marilyn movie season in Amsterdam. The Asphalt Jungle was released on Blu-Ray by Criterion. And actresses Zsa Zsa Gabor and Debbie Reynolds both passed away. Marilyn Monroe was one of the world’s most photographed women, but her mother Gladys, who suffered from severe mental illness, was a more shadowy figure. In an article for the Los Angeles Times, Katherine Yamada reveals how Louie Deisbeck of the Glendale News-Press, who died in January this year, captured a rare image of Gladys Eley (her deceased third husband’s name) as a 60 year-old on the run from Rockhaven Sanitarium in July 1963. “Less than a year after Monroe died, the 60-year-old Eley fashioned a rope out of two uniforms, climbed through an 18-inch-square closet window and lowered herself to the ground. After climbing over the wire mesh fence surrounding the property, she began walking. Twenty-four hours later, she was discovered some 15 miles away in a church on Foothill Boulevard. She had spent the night in the church’s utility room, sitting near the water heater to keep warm. The minister who found her called the police; they were soon followed by Glendale News-Press photographer Louie Deisbeck and a reporter. Deisbeck, who had been with the newspaper since 1957, had many contacts in the city. ‘Police and firemen contacted him all the time in those days, they knew to call him directly at home,’ his son Rusty said in a recent phone interview. Deisbeck was met at the church by two female police officers. ‘It was real hush hush,’ his son recalled. 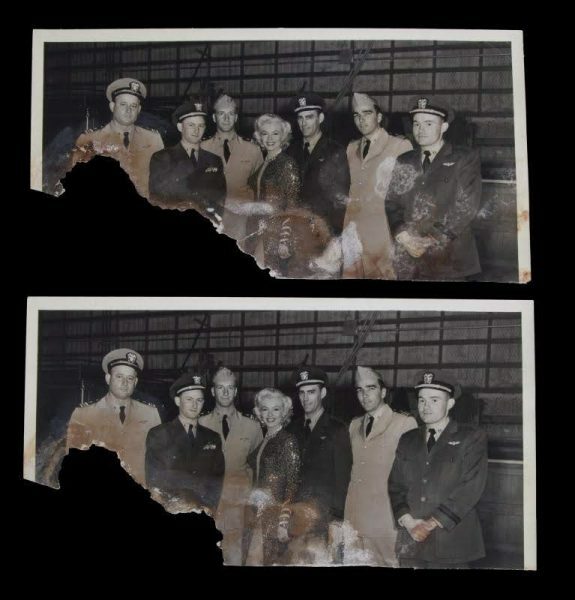 After he got the photo — the first taken of Eley in more than 20 years [although several family photos of Gladys were taken in the late 1940s] — Deisbeck raced back to the News-Press, leaving the reporter to get the story. The police officers told the reporter (who did not get a byline in the July 5, 1963 article) that Eley stated she wanted to get away from the sanitarium and practice her Christian Science teaching. After determining that she was unharmed, they returned her to the sanitarium. Deisbeck’s photo earned front-page coverage in many newspapers. A campaign to save Rockhaven, the pioneering women’s sanitarium where Marilyn’s mother Gladys lived for fifteen years, has been launched – and you can help, reports Immortal Marilyn. For updates, visit the Friends of Rockhaven page on Facebook. When measuring practical considerations versus historic interest, politicians might want to consider the tale of Marilyn’s former San Fernando Valley home – dubbed the ‘Dougherty House‘ – as its demolition in 2015 has prompted a campaign for councilman Paul Krekorian to be recalled, reports LA Curbed. 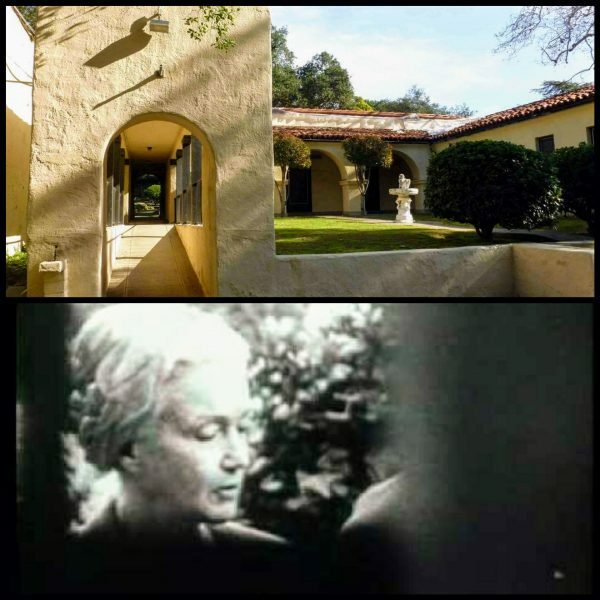 Following the controversial demolition of the ‘Dougherty House‘ in June, Danny Jensen reports for LAist that another Marilyn-related location – the former Rockhaven Sanitarium, where her mother Gladys was a resident from 1953-67 – is also the focus of controversy. “The future looks uncertain for L.A.’s oldest sanitarium, which was originally built as a humane mental health facility for women in Los Angeles county. The Rockhaven Sanitarium in Montrose opened in 1923 as an alternative to the grim treatment offered to women in many mental institutions at the time. And now the group Friends of Rockhaven is hoping to save the historic site, after preservation plans by the city of Glendale fell apart and developers proposed other uses, according to the L.A. Weekly. 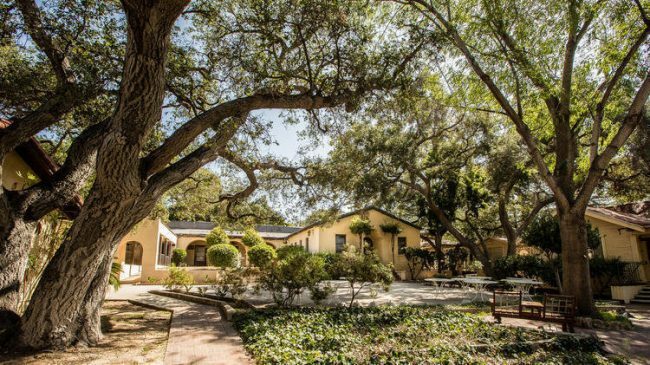 Home for a time to some of Hollywood’s early notables—including Billie Burke who played Glinda the Good Witch in The Wizard Of Oz and Marilyn Monroe’s mother—the 3.5 acre property was nicknamed the Screen Actor’s Sanitarium. The mental health facility was first developed by early feminist Agnes Richards and features small cottages where residents lived. Richards helped women escape from the cells of mental wards throughout California and across the country, offering Rockhaven as a refuge from places where they were commonly abused and mistreated. The aging property includes 15 buildings that are a mix of Craftsman and Spanish Colonial Revival styles, which feature names like the Rose Cottage and the Willows. The sanitarium was designed to be a serene, landscaped complex for healing, rather than an intimidating, American Horror Story-style institution. The interiors of the buildings have remained largely untouched for years. In 2008, Glendale bought the property for $8.25 million from Ararat Home of Los Angeles, which had used the site for nursing care for the elderly since 2001. The city had hopes to develop Rockhaven into an historic park with a community center and library, but after the recession hit, the plans fell apart. When Glendale’s plans fell though, developers then set their sights on Rockhaven with a variety of plans that included home for female veterans, an all-girls’ school, and condos. But the city put the brakes on those plans when the Friends of Rockhaven argued that they would compromise the site’s historic architecture and legacy. In a related article for LA Weekly, Liana Aghajanian explores Rockhaven’s unique history. “Beyond its ornate entry gate and picturesque transom windows sit the sanitarium’s largely untouched rooms — the walls of the dining room, sitting rooms and bedrooms still lined in peeling floral wallpaper, sofa sets neatly arranged, Murphy beds at the ready. Family photos lie on a table; a dressy coat hangs abandoned. [Mike] Lawler, who was raised by a single mother and has four daughters, sees Rockhaven as a monument to women’s dignity, a mental health industry game-changer that must be saved. He belongs to Friends of Rockhaven, whose president, Joanna Linkchorst, wants to ensure the site is preserved as a public space. Her love affair with the sanitarium began on her first visit. The duo has led tours through the sanitarium, a sprawling and serene complex that housed around 125 residents at its peak and is, they say, one of the most endangered historic spaces in the Los Angeles area. In a bid to save the facility, in 2008 Glendale bought the property for $8.25 million from Ararat Home of Los Angeles. But now, city officials sound almost tongue-twisted about its status. Former Glendale city councilman John Drayman led the city effort to preserve Rockhaven as a historic park or library, saving it from demolition. But no funds were appropriated beyond the acquisition price, Ochoa says. After the recession, the idea of reviving the site fizzled, and so did Drayman’s influence — he was convicted last year of embezzlement, perjury and filing false tax returns. ‘Rockhaven lost all momentum,’ Ochoa says. Linckhorst has joined forces with Lawler, former head of the Historical Society of Crescenta Valley and author of Murder and Mayhem in the Crescenta Valley, and an expert on the stories of the region. Lawler says the sanitarium’s own story began in the 1920s when Richards came to the Crescenta Valley — then famed for having the healthiest air quality in the United States — with six patients and some chickens. Richards was bent on helping her charges escape cells in mental wards throughout California and the nation where women were commonly abused. 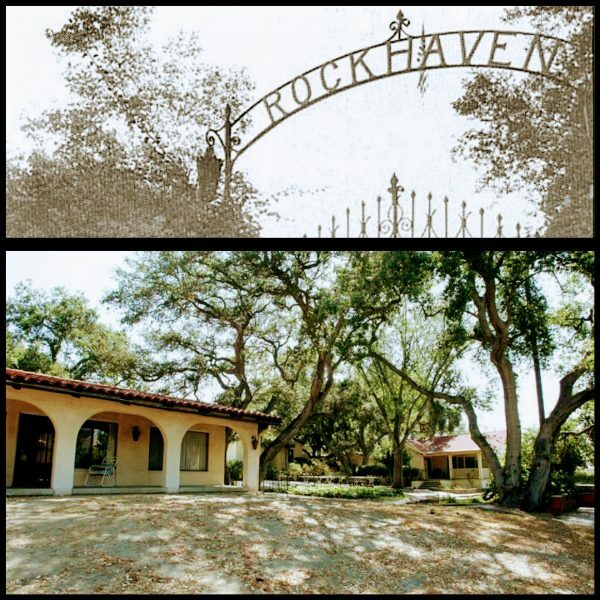 Rockhaven quickly earned the nickname the ‘Screen Actors Sanitarium’ thanks to its famous clientele such as Burke; Broadway actress Peggy Fears; Babe Egan (front woman of Babe Egan’s Hollywood Redheads); and Monroe’s mother, Gladys Pearl Baker, who slipped away from Rockhaven several times while Marilyn paid $250 a month for her care. At the end of the 1920s, when Richards wanted to expand her sanitarium, she was met with opposition from the community. One resident accused Richards of being unfit to run it. The flinty nurse sued the resident in a $100,000 slander case and won, although she was granted just $500 in personal damages. But with Rockhaven owned by Glendale, which spends about $50,000 a year to maintain the site, a number of bureaucratic issues stand in the way, and it’s not clear what the group’s next move should be. For now, the city has agreed to give them time to look for independent funding. ‘We’re certainly aware that it’s there, and we’re trying to find solutions for it — it’s not something that anybody is going to forget about,’ says Glendale city council member Laura Friedman.